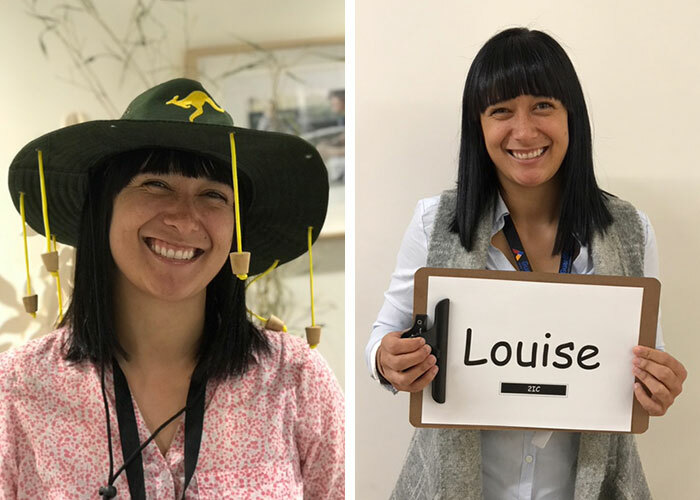 Starting out as an unqualified teacher in New Zealand, and then jumping across the pond to Australia to develop into an Assistant Centre Manager at River Garden, Louise Moetu’s career in early education has gone from strength to strength. Her passion, commitment and talent in this sector was recently recognised at our Victorian Educator Awards Night where she won the coveted title of Educator of the Year. We take two minutes with Louise to find out more about her career, some highlights and where she hopes to take a little vacation to one day (hint: the Kardashians have holidayed there). So I looked in the newspaper for jobs in teaching and there happened to be a position five minutes up the road for an unqualified teacher. I worked for a year as an unqualified and then started my Bachelor a year later. I worked at that centre for four and a half years working with the toddler age group. While completing my Bachelor I completed three six-week placements one in a bi-lingual centre, one in a kindergarten and the last one in primary school. After completing my Bachelor I then moved to another centre and worked with the same age group (toddlers) for four years. Both centres were rural we had paddocks for the children to explore and farm animals – I absolutely love the outdoors. I then moved to Australia and that’s how I started at River Garden. I have many highlights… My entire career has been a highlight! Since moving to Melbourne and working for Guardian I have taken on a Room Leader role and then moved into the role of Assistant Centre Manager. I have enjoyed the challenge of learning something new and taking a different role in my teaching career. Coming to Guardian has given me so many amazing opportunities that I would have never experienced by staying in New Zealand. I have worked with and alongside some inspirational people in the field of education, I have attended many professional development courses including attending Bastow Institute ‘Leading Education’ course, and I attended the bi-annual Reggio conference in Sydney. I also visited Reggio Emilia in Italy while on holiday and visited the Loris Malaguzzi International Centre which was another highlight of mine. All of this has inspired my teaching practice and enforced my belief of the Reggio Emilia approach. The children and families. I love building relationships with them – they are the most important and most favourite part of my job. How long have you been at River Garden? 1 year and 8 months. What’s one of your favourite things about working in early childhood? I love constantly learning. No day, month or year is ever the same. You get new children, new families, new staff members and you continue to build your knowledge and it just gets better and better. I am sure you’ve had many highlights in your time at River Garden, can you tell us about one? The amazing contemporary early childhood setting at River Garden. I love that this centre is purpose built and everything is made for children and with the thought of children in mind when designing the centre. Where is one place in the world you would love to travel and why? Bora Bora because I saw it on the Kardashians and it looks amazing – one of the most expensive countries to travel to. What is one favourite childhood memory? I loved ballet when I was little and could never afford to do ballet lessons or afford the point ballet shoes so I used my creativity and imagination and made my very own ballet shoes using my slippers and put wooden blocks at the front of my shoes to create my very own. I play netball for St Kilda City and have played netball for 19 years. Interested in a role at Guardian? Head to our Careers section to find out more.